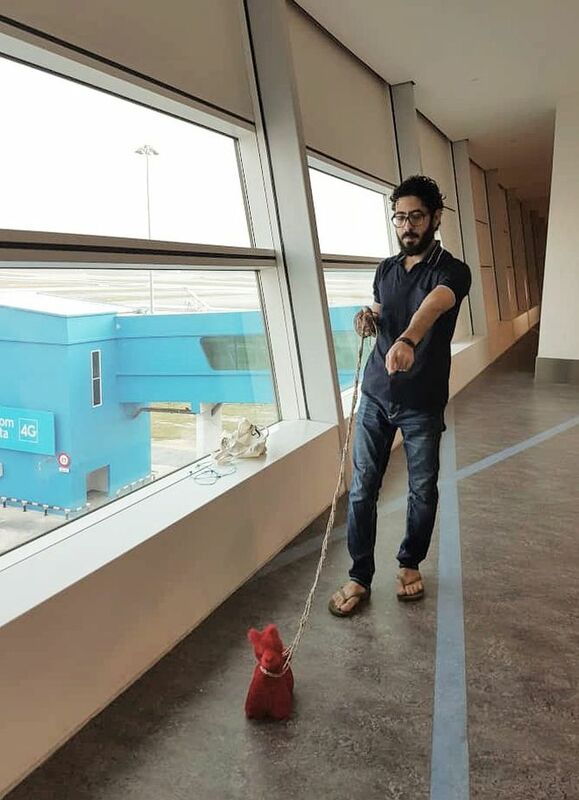 As millions of passengers stream through Malaysia’s Kuala Lumpur International Airport, heading off on holidays or returning home to loving families, all Hassan Al Kontar can do is watch. And wait. Stuck at the airport since March 7, 2018 that’s all Kontar has been able to do. The airport has become his home. And for all those who wonder what it must be like to live at an airport, the stranded 36-year-old tells us via Twitter exactly what his story is and what’s happening to him. Kontar left Syria in 2006 to avoid being drafted into the army and to secure a better future outside his home country’s politically unstable borders. Things got complicated for the 36-year-old in 2016, after living in the United Arab Emirates for nearly 10 years. He had lived and worked comfortably in the country’s insurance sector but then lost his work visa. During that time, he says, the Syrian embassy there refused to renew his passport. 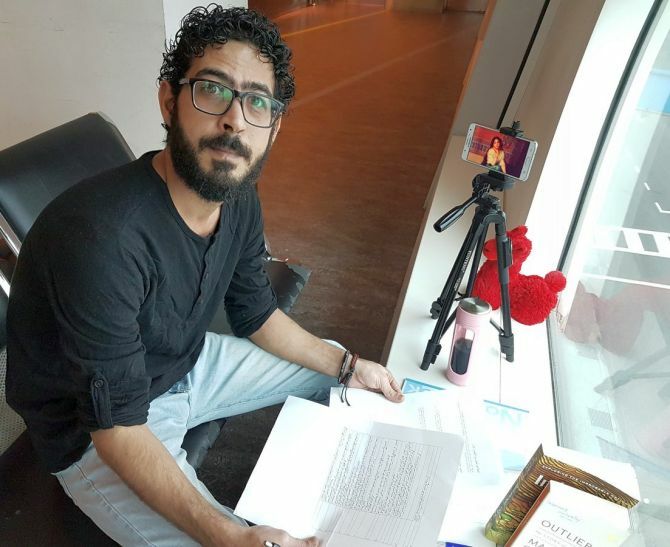 With few other options, Kontar worked illegally for five years without a valid passport or visa, before UAE authorities sent him to a holding center in Malaysia in January 2017. Malaysia is one of the few countries that offers visas on arrival to Syrian nationals. 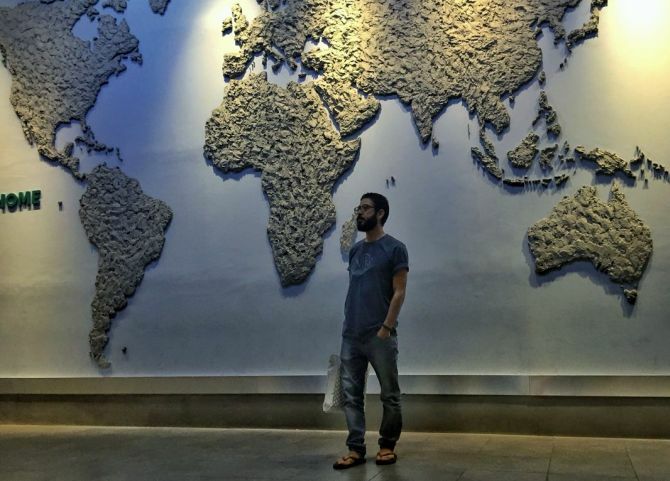 Kontar tried to save money and leave Malaysia on two occasions in 2017 -- once to Ecuador, another time to Cambodia -- but he was rejected each time and sent back to a country he did not choose to live in. He is currently blacklisted by Malaysia for overstaying his visa and is confined to the transit zone of KLIA2. Kontar sleeps on the floor under a stairwell at the airport. He has access to two bathrooms and a waiting area in the transit section of the airport. 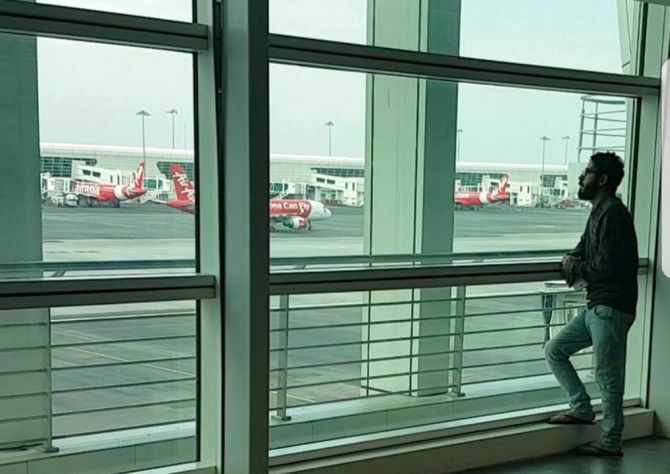 AirAsia, the airline that took him back to Malaysia, provides him with three airline meals a day. 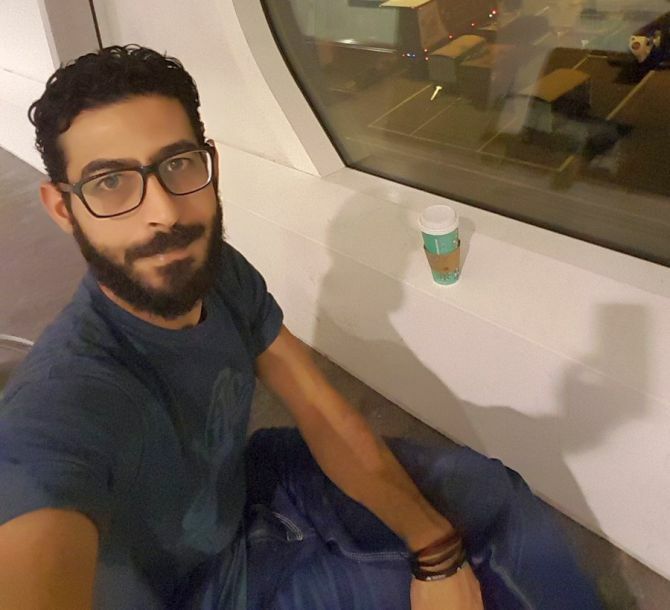 He says on Twitter, which he uses to document his long tireless days, that he’s received a significant amount of help from people sympathetic to his plight, including from the group of Canadian and American supporters who brought him a mattress – allowing him to sleep below a stairwell, instead of on airport chairs or floors. To pass the time, Kontar video chats with his mother, surfs the Internet, and reaches out, tirelessly, to aid agencies, non-governmental organizations, and immigration officials -- anyone who might be able to help his case. He also tweets, narrating his strange new life through selfie videos. “I am just counting days here, with no hope,” he said in a video posted on March 23. “I don’t know why I keep doing these videos; maybe somewhere deep inside my feelings or my heart I need someone who cares, someone who may [be] able to help, [but] somewhere I know it’s hopeless. It’s a false hope. “I don’t know what to do. It seems like it will be my home for a while. During the video, he was interrupted by chimes signalling an announcement over the airport PA system. He says he tries to stay positive, because “otherwise, it’s better to die”. He also acknowledged there were Syrian refugees in greater peril, but his situation reflected a humanitarian crisis. 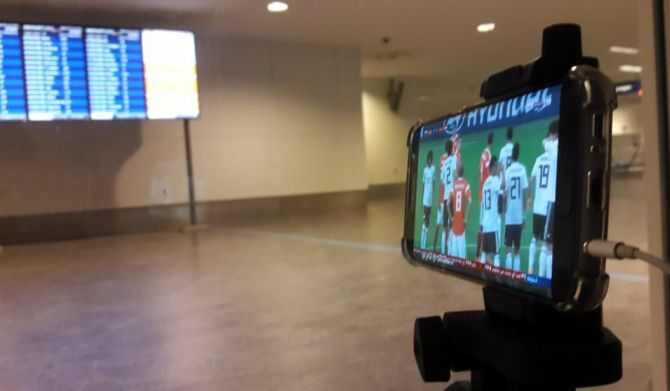 “The minute the Turkish [airline] cancelled my ticket and did not allow me to board, it was not because of me, Hassan, it was because of my nationality,” he said. But all hope isn’t loss. The United Nations Refugee Agency has been in touch with him and has been working to get Malaysian officials to review his situation. But the most hope is coming from a perhaps unlikely source: a group of residents in Whistler, Canada. Canadian woman Laurie Cooper told CBC she came across Kontar’s story on Twitter and began to send him money for food. She also began looking into his options. Now, Cooper and some friends have raised enough money to sponsor Kontar and have set him up with a job and accommodation in Whistler — if they can get him there. 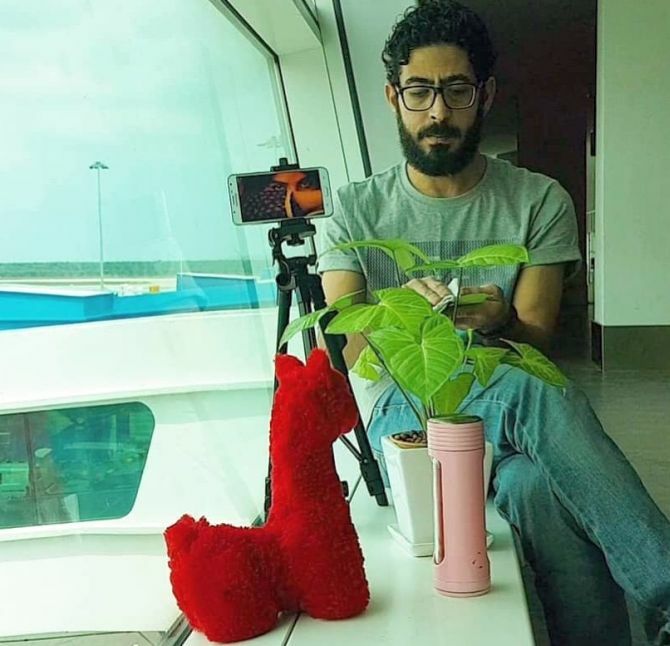 They’ve sent a request to the Canadian immigration minister, asking him to allow Kontar to travel to Canada while his application for a temporary resident permit is processed. His exasperation has reached its peak, so much so, that Kontar wrote a job application to NASA, asking them to send him to Mars on their next expedition. 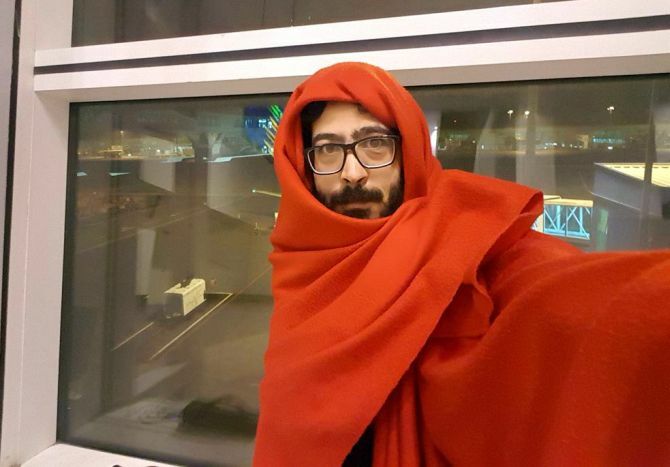 A number of media outlets compared Kontar’s case to The Terminal, a 2004 film starring Tom Hanks and inspired by the story of Mehran Nasseri, an Iranian refugee who spent 18 years living in the Charles De Gaulle airport in Paris, France. Hassan’s sense of humour shines through in his posts. He caught up with the latest viral craze and did a Kiki challenge. The only difference, instead of a car, it was with airport luggage trolleys. Hassan’s only window to the world is his mobile phone. That is his most important possession and he said that’s what keeps him sane. He chats with his mother often and always puts on a brave front, not wanting her to get worried. He also uses it to update his social network. His timeline is filled with encouraging messages from strangers and friends he made at the airport. He has also begun his own little ‘garden’ tending to it, which he says helps keeping him sane. We really wish, his ordeal comes to an end soon.